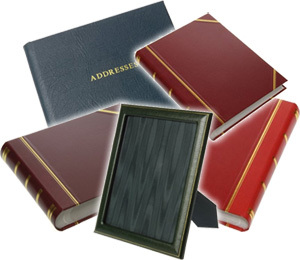 Lydden Albums has been making traditional leatherbound photograph albums for over 30 years. We are proud that these and all our other products are entirely handmade in England using our skilled binders in Cornwall. In addition to our range of albums, Press Cuttings and Scrapbooks, Visitor Books and Photograph Frames we can also offer bespoke Game and Fishing Books and social record books. Please contact us to discuss your particular requirements.